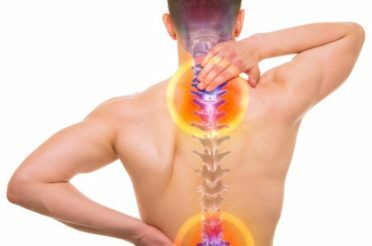 Having the correct posture for back pain is an important way to keep the back and spine healthy. For the correction of a poor posture it is very important to determine what improvements are needed. People with back pain must work on changing their daily habits to correct those areas. This effort will improve your back and over time will help decrease back pain. Here are some tips on proper posture for back pain. 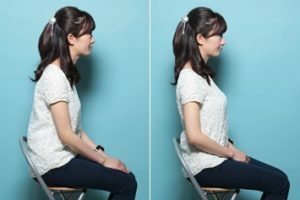 Make sure that your back is aligned against the back of the chair. 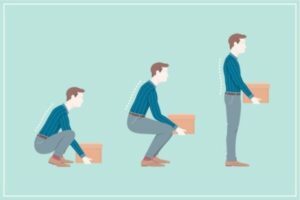 When you are tired from sitting in the chair for a long period, you should avoid slouching or leaning forward. Do not sit on the chair for so long. You have to get up and walk around or stretch once in a while. Keep your feet slightly apart, at about the width of your shoulder. Make sure your head is square and on top of the spine, and not out forward. Always make sure that you stand straight and tall, with your shoulders upright. Tuck your chin to and keep it head level. 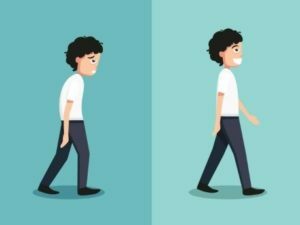 If you’re standing for quite some time, shift your weight from one foot to the other. You must keep your head up and eyes looking straight forward. Try to avoid pushing your head forward. Always keep your shoulders aligned properly with the rest of your body. When sitting, lean your back firmly against the seat for proper back support. There should be a proper space between your seat and the steering wheel to avoid reaching or leaning forward. 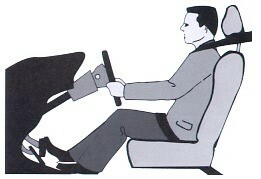 Headrest should also support the middle of your head keeping it in an upright position. Frequently switch from one arm to another when carrying something. When lifting a heavy or large object, always keep it close to your chest. Bend always at the knees, and not your waist. Always use your leg and stomach muscles when lifting, and not your lower back. Always carry a light backpack and balance the weight on both sides as much as possible. Avoid leaning forward when carrying a heavy backpack. It is more usually comfortable for your back when sleeping on the side or back than sleeping on the stomach. A firm mattress is best when sleeping for proper back support. Always use a pillow when sleeping to provide proper support for your head and shoulders. Place a flat pillow between your legs, if you are sleeping on the side so that it will keep the spine aligned and straight. Always remember that a main cause of improper posture is tense muscles, which will cause a misalignment of your body. 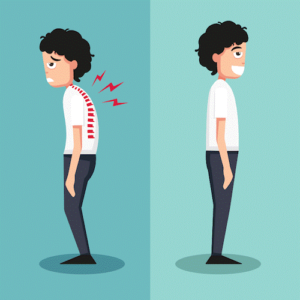 Many people find other treatments or activities like massage therapy, yoga, and acupuncture or other exercises that can be helpful with relaxation of the muscles and posture improvement. Someone needs to make a bracelet that zaps you or something to remind you to sit up or stand up straight. I’ve been struggling forever to work on my posture but my big problem is that I just always forget! It’s so easy to just slide back into your old habit of bad posture. Hi, thank you for dropping by! Yes I have the same problem, I always want to work on my posture but always forget! So I’m wearing a back brace now to remind me to sit up and stand up straight, otherwise the back brace will make my belly uncomfortable. 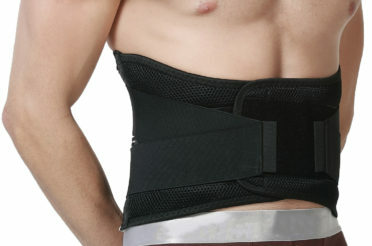 Maybe you can try a back brace or posture brace!